Many of guys already familiar enough with TonyMoly as one of Korean Cosmetic Brand. They have such a good products for their skincare and makeup products. I recommend you guys check out more of their products. So I’m gonna show you guys swatches from my other shades. Which is 02 Coral Ming, 04 Red Hot, and 07 Oh My Rose. Please click more if you want to see the swatches. As long as I know, they have 8 shade for Liptone Get It Tint version and I have 4 of them. Since I’ve already made a review and swatch of shade All Night Red, I’m gonna do it too for the other shades. Let’s go go go! 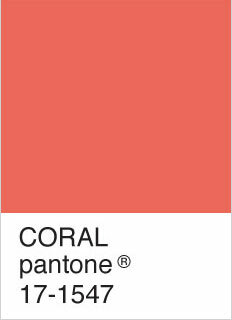 If I look from the outside of the bottle, the color is like a coral with a hint of pink than a true coral color. But the real swatch is a little bit different from the color in the bottle. It’s more like a pink tint color, there’s no hint of coral at all guys. What’s the difference between 02 Coral Ming and 05 All Night Red ? 05 All Night Red is have a darker pinkish color with a little bit hint of red color than 02 Coral Ming. For me, 02 Coral Ming is a pink color, that’s it. This lip tint don’t have a watery texture like 04 Red Hot and 05 All Night Red, in my opinion it’s more like a milk texture (I don’t know guys. haha). Well if you’re into red orangey lip tint, this is color is such a perfect choice. The color is much more orange than in the bottle. Just like I said before, this lip tint color is a little bit different from the color in the bottle. I like the color, pigmentation, and staying power. But if I wear this lip tint, it takes so much attention of the people because I rarely wear an orange lip color. The last one is 07 Oh My Rose, this color is a new color and really famous in South Korea. So many Korean beauty creator that talk about this color. 07 Oh My Rose is such a new color for me, Ssin-nim said that 07 Oh My Rose is like Tonymoly Kiss Lover Style M – Red Chili, but more coral than red chili. What do you think about Oh My Rose guys ? I think 07 Oh My Rose will be a good color for someone who want to achieve kinda natural lip tint color. Tonymoly Liptone Get it Tint is such good product that you must try if you really love Korea lip tint. The color is so pretty too and I think next time in the future I’ll try the HD version of Liptone Get It Tint. I hope I could provide you a good swatches guys, don’t forget to comment below if there’s something that you want to ask. Thanks!